Block access to your store for unwanted users or bots by adding their IP Addresses to our module. Enter the IP address you want to block and click submit. After that, the person with this IP will be prevented from entering your website and will get a 403 Error Page with the following message “Forbidden – You don’t have permission to access … on this server”. Create an unlimited number of IP bans. This module has been built to help you prevent unwanted users from entering your store, especially hackers, robots, spiders, crawlers and web content scrapers that may cause harm to you store. 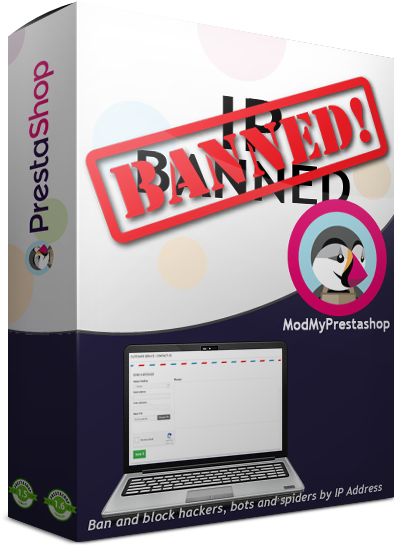 Compatible with Prestashop 1.5.x and 1.6.x.